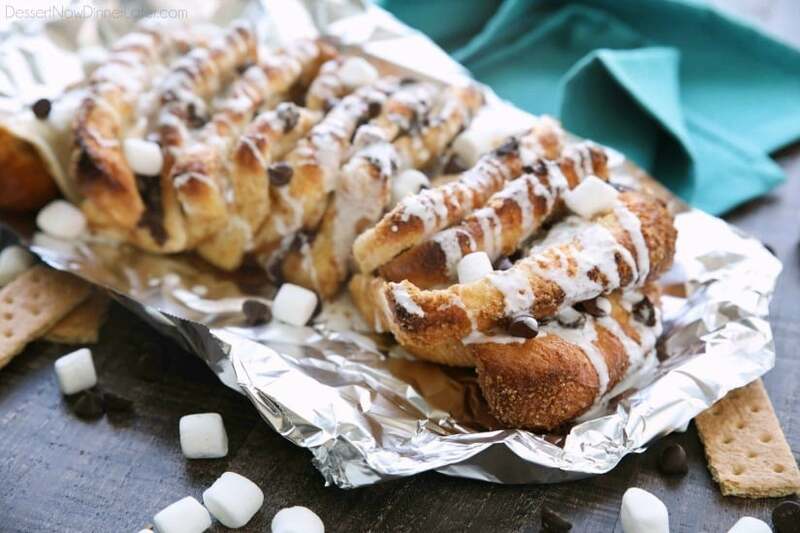 S'mores Pull Apart Bread - Dessert Now, Dinner Later! 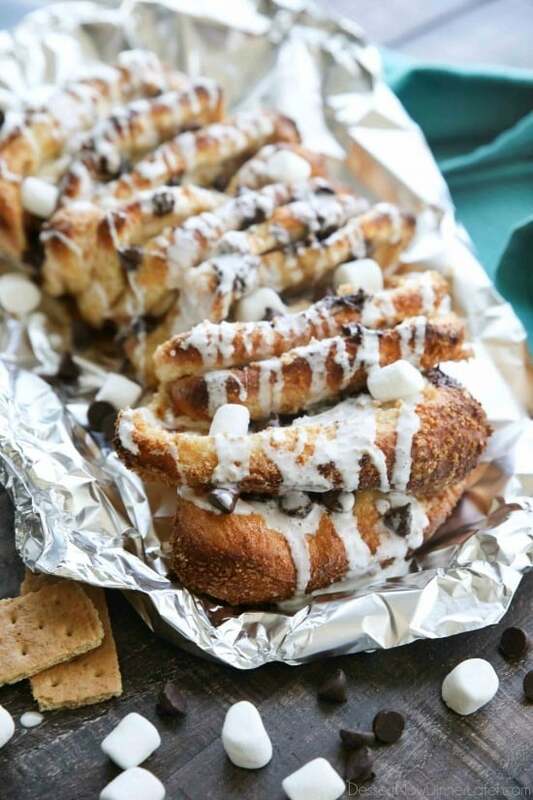 S’mores Pull Apart Bread is loaded with graham cracker crumbs, marshmallows, and chocolate chips, then topped off with a marshmallow glaze for a camping inspired dessert you can enjoy anytime! Today is officially the first day of summer, and I can’t think of a better way to celebrate than by eating summer’s favorite treat: s’mores! 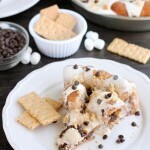 This S’mores Pull Apart Bread has all the fixings of graham crackers, marshmallows, and chocolate chips in a soft, gooey, loaf of sweet bread! 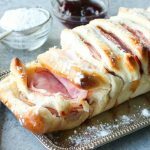 The marshmallow creme glaze on top brings it all together and makes it even more delicious! I’m not a huge camper, but every now and then we’ll make a fire and roast some s’mores. 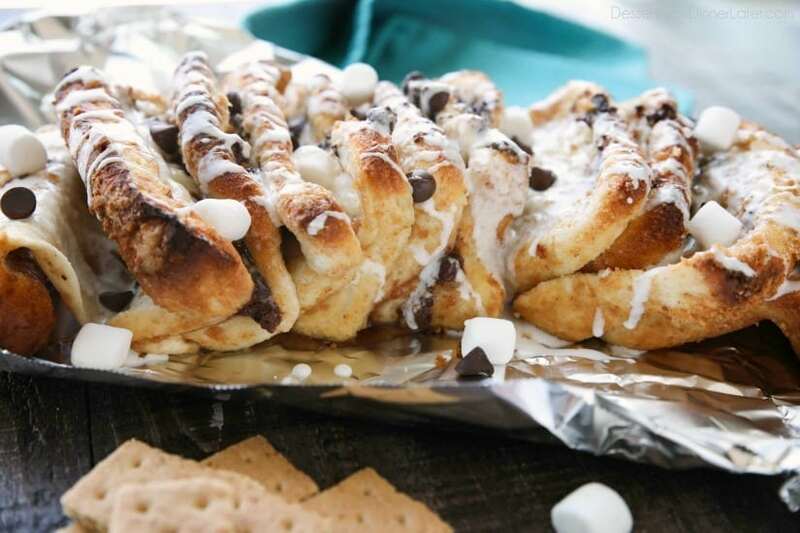 The great thing about this S’mores Pull Apart Bread is that you can make it whenever you get that craving for s’mores. No campfire needed! 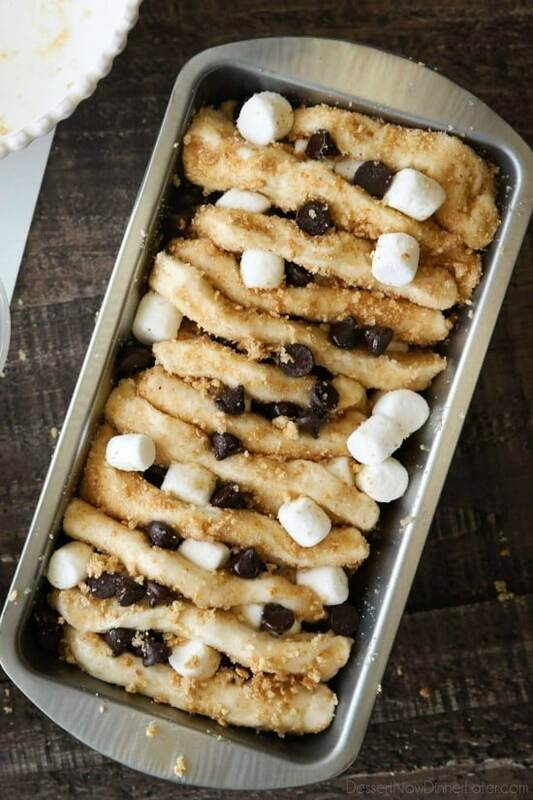 Layers of buttery bread coated in sweetened graham cracker crumbs, and stuffed with mini marshmallows and chocolate chips. What’s not to love?! 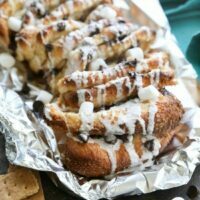 This S’mores Pull Apart Bread works great for dessert, but you can nuke the leftovers and have it for breakfast the next day too! If you even have any left over! Cover the frozen dough with sprayed plastic wrap. Thaw and rise about 4-5 hours or overnight in the refrigerator. Roll out the bread dough into a large rectangle about 16x20-inches. Using a pizza cutter, cut the dough into twelve pieces (3x4 rows). Combine the sugar and graham cracker crumbs in a large bowl. Melt the butter in another large bowl. Dip each square piece of dough into the butter, shake off any excess. Then coat it in the graham cracker and sugar mixture. Then lay it down flat and sprinkle some mini marshmallows and chocolate chips on top. 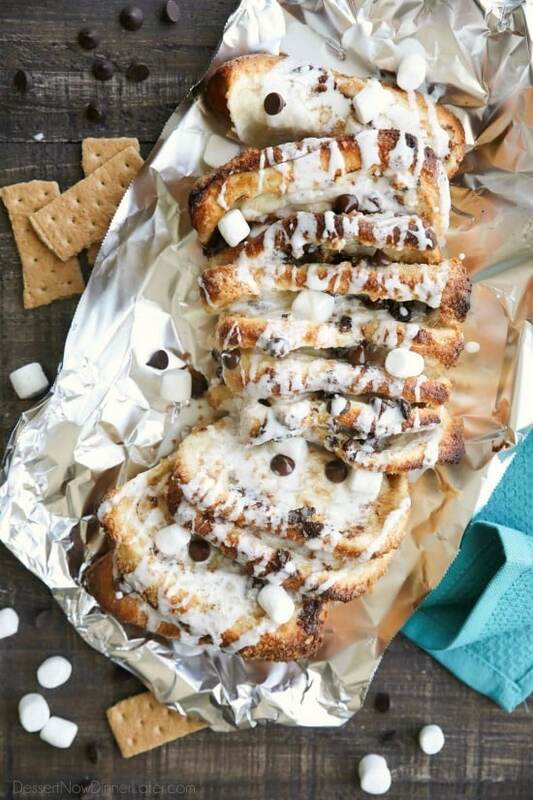 Stack each piece of graham cracker coated bread with mini marshmallows and chocolate chips in between. Carefully pick up the stack and lay it sideways in a bread pan that has been greased with cooking spray. Drizzle with any remaining butter. Let bread rise for 30 minutes if it is still cold or flat instead of plump. If it's plump, go straight to baking. Bake at 350 degrees Fahrenheit for 25 minutes. Place a tray on the bottom rack to catch any spills. Cover bread with foil if it browns too quickly. Make sure that the bread is golden brown and cooked completely where pieces touch together. Once bread is cooked, let it rest for 2-3 minutes in the pan. 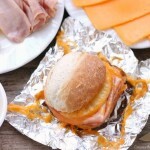 Invert bread onto some foil or a large plate. 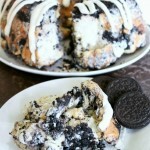 Make glaze by whisking the powdered sugar, marshmallow creme, and milk together to desired consistency. Drizzle over warm bread. Top with extra chocolate chips and mini marshmallows if desired. Serve immediately. Store any leftovers in an airtight container. Nuke in microwave to soften leftovers.